Here is a nice little card I made that can be used for many occasions. 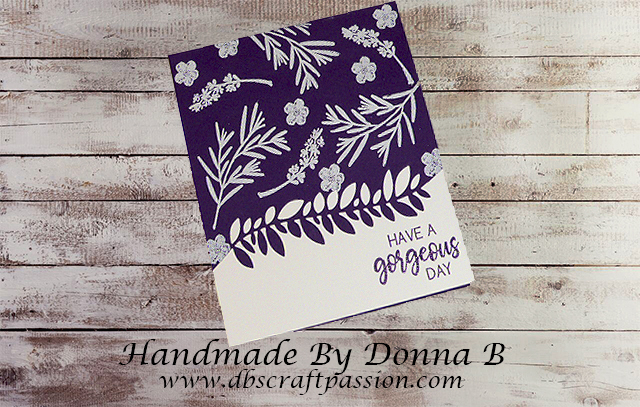 It has a range of flower and leave designs on a purple background, which contrast well with the text 'have a gorgeous day'. It is such a lovely message and really finishes off this card nicely. I hope you all have a gorgeous day!